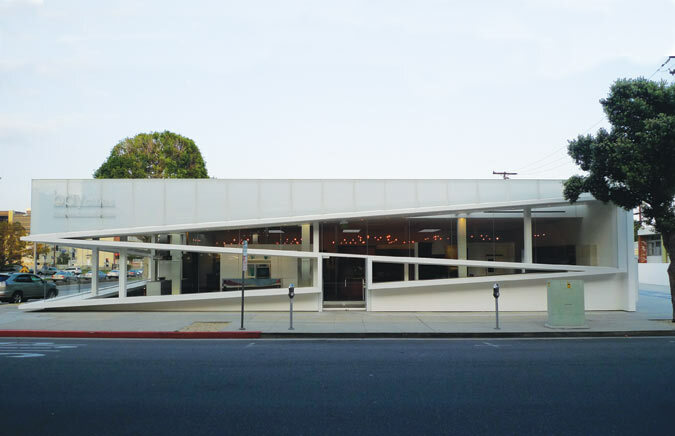 Through bold gestures in glass and white diagonals of steel, Michele Saee has radically transformed a once flat-faced, punched-window brick structure into a new LA landmark. Saee imagined the Bay Cities Kitchen & Appliance Showroom through the image of the Star of David, linking the design to its immediate neighbors, a synagogue, nursery school, and early childhood center for Temple Emanuel. The dramatic diagonal structural steel framework—combined with slightly angled storefront windows—defines the building’s two street-facing facades, doubles as a light shelf, and even creates seating and display areas inside. The design seemingly dematerializes the building’s most prominent corner, producing an intimate connection between the interior and the adjacent streets. Fletcher Studio's 'Terrabungalo' models were made largely out of wooden stirring sticks from Starbucks. If you think of model making from simple materials is the old-school approach to architecture, take note of the exhibition Crafting Architecture: Concept, Sketch, Model at the Museum of Craft and Design. The show, which includes both handmade and digitally fabricated works, is less about the pull between the two methods (though some contrasts are revealed) and more about the creative process. Since this is an institution dedicated to the intersection of craft and contemporary design, the exhibition explores how architecture is aided by craft and how models communicate and represent design strategies and intent. “Making models helps architects connect to the tactility and materiality of a project. And the use of scale also helps in the development of design,” said Mariah Nielson, the museum’s curator, who also conceived of the exhibition. As part of her exploration, Nielson discovered that hand-craftsmanship is not about to go the way of the T-square. In fact, she thinks manual projects may be more embraced by architects because they are seen as an antidote to the increasingly digitized workplace. To create the show, Nielson visited dozens of Bay Area companies, ending up with 24 works by architectural and landscape architecture firms, two students, and one model maker. The models are roughly divided between the manually crafted— often using traditional materials like chipboard, basswood, and cardboard— and those that were digitally fabricated utilizing CNC (computer numerical control) and 3D modeling machines. Architectural and site models are skillfully executed. Yet the most intriguing models, as the curator intended, reveal the thought process of the designer and, sometimes, how they arrived at a chosen design after a process of elimination. In making a chipboard model of a Blue Bottle kiosk, Jeffrey Yip at Jensen Architects started with the square footage of the proposed kiosk and explored every conceivable iteration in chipboard. The winning concept: a simple box with a diagonal roof, which is a solar panel. Look for the full-scale, built version soon outside San Francisco City Hall. Though the curator is interested in the convergence of craft and design, a number of works border more on fine art. Gensler’s handcrafted white-on-white facade study for a convention center in China is like a work on paper. The full-scale, laser-cut paper prototype of Matsys’ C Wall, an exploration of honeycomb and Voronoi geometries, could easily stand on its own as sculpture. An undulating shape from Faulders Studio, created by the CNC large-scale laser cutting process, truly is a piece of art furniture, though it is one component in a much larger free-form seating environment at the Berkeley Art Museum/Pacific Film Archive. Since many models represent works-in-progress, the show offers a sneak-peak at what’s under way. Haas Architecture’s upcoming collaboration with Alonso King’s LINES Ballet of San Francisco reveals the model for a chain-like, flexible wall that will react to the bodies of dancers. The model is foam because it was easy-to-work with and light, but large rectangular pieces of cardboard were ultimately chosen to make the set. Most of the avant-garde projects on show do indeed make use of the digital process. Yet one shouldn’t discount the low-tech. Fletcher Studio set an intern loose on a conceptual model for a stackable unit of homeless housing, allowing only materials salvaged from Starbucks. The resulting model, with protruding facades, is ingeniously crafted from wooden stirring sticks, paper coffee-cup jackets and display plastic. Innovation can be born of the most cutting-edge gadgets but also stubborn resourcefulness. The show certainly accomplishes what the curator had hoped: piquing the viewer’s interest about what will happen next with these projects. Models are a powerful tool to help architects explain and sell their work. Revealing the final outcome would ultimately demonstrate how successful these beautiful models really are at capturing the moment between concept and reality. 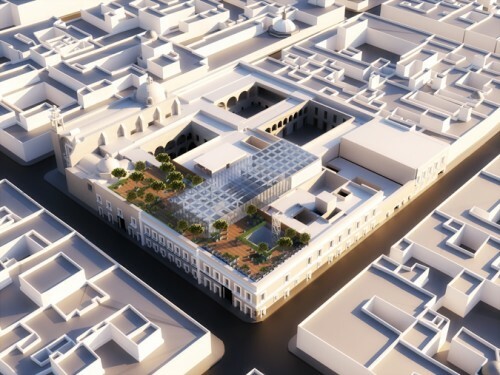 TEN Arquitectos have shared renderings of a museum project that Enrique Norten is working on in the historic center of Puebla, Mexico. The Amparo Museum sits in the heart a colonial quarter and though building envelope will retain its old world charm, a very new world facility will emerge inside. The museum is comprised of four structures dating from 17th and 18th centuries and for that reason its hard to imaging a project like this sailing through a historic commission in the States. But Norten said that it's no cakewalk in Mexico either, though they don't have community boards to contend with. "It's super tough. It's what we call the historic patrimony. All pre-Colombian through the 19th century, all are protected" he said. But the architect and his crew were able to argue that an intervention from fifty years ago left a large portion of the building open for reinterpretation. Like the new addition, the collection and temporary exhibits bring together old and new, with the pre-Columbian art rubbing shoulders with contemporary installations. The museum has also developed a bit of a reputation for using technology as a teaching tool, but their digital approach has grown a bit stale over the years. The renovation should bring them back up to speed. "We’re going to be using screens, computers, videos. All kinds of new media will be integrated," said Norten. The new addition will occur over the course of five years and the museum will remain open. A series of four courtyards have allowed the architects to float much of the needed space within the existing structure without interrupting much of the historic fabric. "You have to find areas to bypass or where there are certain opportunities," said Norten. The fifty-year-old intervention allowed for the more drastic changes, which made room for a large auditorium and cafeteria. Though integrating new buildings behind old facades has become a trend in New York, Norten said the process is old hat South of the Border. "We have been doing this for years in Mexico, because we have a vast stock of older buildings." Rendering of student club at University of Miami. Designed by Marion Manley in collaboration with Robert Law Reed. Marion Manley: Miami’s First Woman Architect opens with a cinematic foreword by Elizabeth Plater-Zyberk, co-founder of the Miami firm Arcquitectonica and acting dean of the University of Miami’s School of Architecture since 1995. The foreword establishes a critical position concerning Manley’s work from the physical perspective of Ms. Plater-Zyberk’s office window. 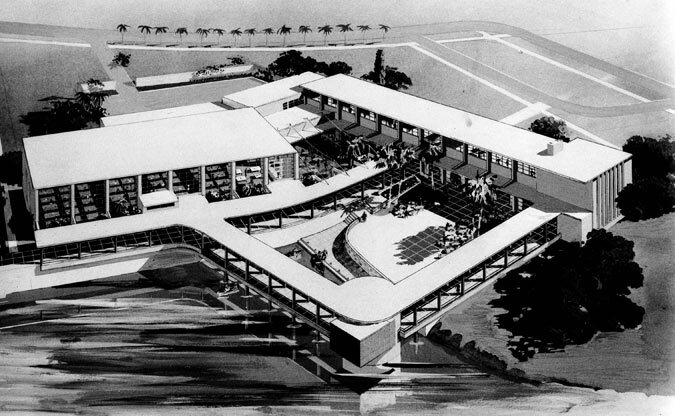 This point of view subtly prioritizes the planning and architectural development of the University of Miami campus as not only being among Manley’s greatest achievements, but also most representative of the ideological concerns which govern her body of work as a whole, which include: low-tech sustainability (before it was fashionable); the synthesis of various local architectural styles into a pared-down, rational, International vernacular; and planning concepts that support convenient inter-city and thru-city travel, off-street parking, more parks and playgrounds, and slum clearance. While the descriptions of Manley’s early and late residential work by Lynn and Penabad that follow are made to seem relevant to unpacking the significance of Manley's career, the authors suggest that it is the extraordinary vision Manley exhibits in her work at the University of Miami that has made her influence lasting. A rare collection of over three hundred drawings and clippings maintained by the Historical Museum of South Florida, in addition to University of Miami archives related to Manley and her work, serve as the basis of this comprehensive study. 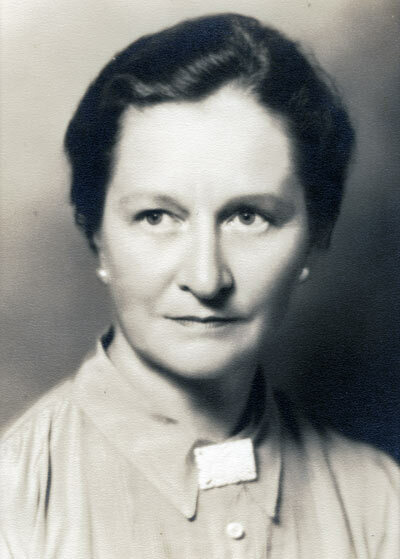 From Lynn and Penabad we learn that Manley became a registered architect in the state of Florida in 1918, less than a year after her graduation at the University of Illinois, where she was more than likely exposed to the Mediterranean style through the writings of Rexford Newcomb, who was the Dean of Fine and Applied Arts at the time. Newcomb was, according to Lynn and Penabad, a “diligent and eloquent practitioner” of this style who described its melding of Spanish, Italian, Moorish, and Byzantine-Mediterranean sources in 1928 as "sunloving." While a direct influence by Newcomb can't be confirmed in Lynn and Penabad's text, it is suggested that Manley had a predisposed affinity for this style, which would play a major role in her work at the University of Miami, and, in combination with International ideals, form the basis of her sensibilities as an architect. This book hones in on Manley’s nexus of influences, decodes them historically and explains them in relation to Manley’s professional context. Prior to registration, Manley acquired a significant internship in the Coconut Grove office of Walter De Garmo, a Cornell graduate also trained in the Beaux Arts tradition and, according to Lynn and Penabad, best known for his design of the Jefferson Memorial in Washington. De Garmo worked on the early development of Coral Gables with H. George Fink, who was one of its original architects. Fink's travels in Spain, Italy, and France, as they were interpreted in the drawings he produced and sent back to De Garmo, were heavily influential in the development of Coral Gables. 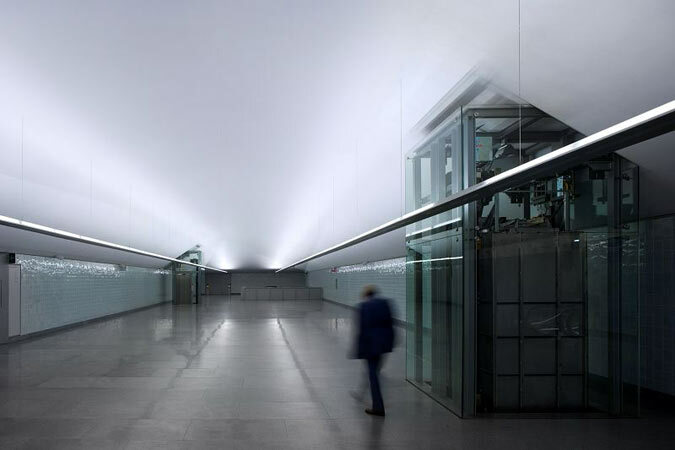 From De Garmo and her involvement in the design and construction of his civic projects, Manley assimilated this European-based architectural language. When World War I disrupted the building boom in Florida, Manley accepted a temporary position designing ships for the Emergency Fleet Corporation of the U.S. Shipping Board in Philadelphia. Returning to Miami shortly after, Manley, now registered, began to design large-scale Mediterranean houses with a prominent Miami architect by the name of Gordon E. Mayer (who made her a partner in his firm), worked briefly in South Carolina, then set up her own practice back in Florida in 1924. From 1924 to 1941, Manley is characterized by Lynn and Penabad as being both successful and wracked by the economy of world war, frenetic interest rates, a prevaling post-war atmosphere of male dominance within the field and a potential client's ability to secure a mortgage. Although Lynn and Penabad expend a lot of energy summarizing the details and relevance of Manley's work and social commitments leading up to and after 1943 (when her practice was relocated onto the University of Miami campus), they also suggest that Manley's exposure to the writings of Walter Gropius and Le Corbusier, as well as her enrollment in a summer city planning course at MIT in 1942, had the most impact on her ideals as an architect and regional planner. Following an introduction, Lynn and Penabad have organized Marion Manley: Miami’s First Woman Architect into three main chapters: “Practicing From the Outpost,” “Manley and The University of Miami,” and “Designing Post-World War II South Florida”; the chapters are followed by a catalogue and timeline of the architect’s work. The chronological framework illuminates the arc of Manley’s career in a compelling way, for in order to fully perceive Manley's relevance, one must understand the dynamic nature of the influences that played upon her career and realize that she was capable of synthesizing them in a way that made her a leader in the field. What Lynn and Penabad are ultimately driving is an accurate diagram of the web of social and artistic forces that inevitably inspired Manley's work at the University of Miami. 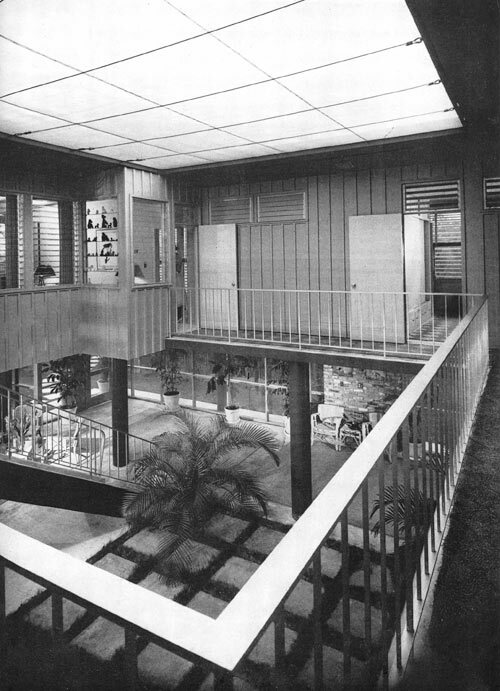 Courtyard of Manley's Bell House in Coconut Grove, 1952 (left) and floor plans (right). The first 70 pages of the book form the launch pad for the remainder, the bulk of which is devoted to Manley's institutional work with an eloquent coda concerning the late residential and public work that exhibits a remarkable synthesis of International notions of form and economy and the Mediterranean style's exotic vernacular. Lynn and Penabad assert that the first indication of Manley's shift in ideals is best represented in her diagram for a proposed music auditorium for the university. The blueprint, comprised of a simple plan, longitudinal section and transverse section, is all "swoops, curves, and broad spans," centralized around a single gesture born of engineering calculations. While Lynn and Penabad (perhaps inappropriately) reference the shape of a household iron in their description of the plan, these drawings predate some of the most significant work of Saarinen and Niemeyer (with which it shares an unquestionable resemblance). Le Corbusier's "Air Resistance of Various Forms" from Towards A New Architecture is openly referenced. Some of most inspiring visual material included by Lynn and Penabad relates to Manley's building designs for the University of Miami. Most of these renderings reside in the University of Miami Library in Coral Gables’ department of Special Collections. The strongest images include the preliminary design for a classroom building in multiple views, sketches for a marine lab that was never built, an amazing aerial perspective of the "Central Group" of campus buildings (which quite conceivably would have made an interesting book cover), a pencil rendering of a student dormitory and Fine Arts building group, and actual photos of temporary buildings, administration buildings and veterans' housing. The most exciting building documented in the book, however, is Manley's Memorial Classroom Building, which exemplifies institutional or university architecture's essence of the bar building type and its modular counterparts. This particular building, consistent with the International style, has a reinforced concrete frame finished with an exposed concrete scrim and cantilevered galleries. The siting conforms to an underlying grid which eventuates the morphology of the Central Group. The building's major axis is oriented towards the prevailing winds, and the galleries and stairs are open to the air. 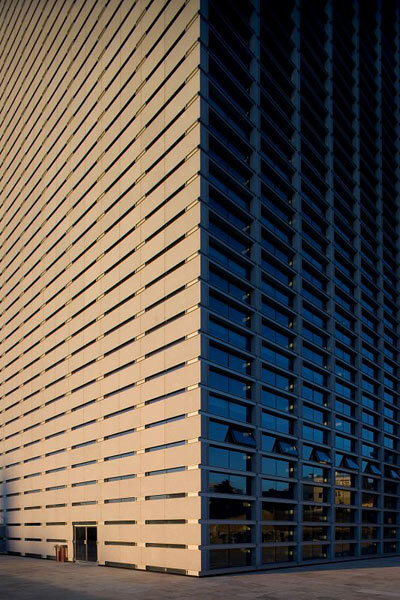 The facades, harmonious in their individuation and defined by recessed and operable fenestration, are vertically expressive yet minimal concrete structural elements—a volumetric play of forms, rhythmic or syncopated tectonic features (such as vertical fins that scoop light), and a breathtaking guardrail. The outdoor lobby is indicative of Manley's admiration of the South Florida landscape. Where this building is lifted off the ground, Manley successfully brings the classroom to the outside. Also significant, according to the authors, is the publicity this building achieved. Like the "campus-beauty-queen subjects" in the photos, Lynn and Penabad embrace Manley's work at the University of Miami and elsewhere lovingly. The aluminum, glass, and concrete expansion at Zahner's facility in Kansas City. 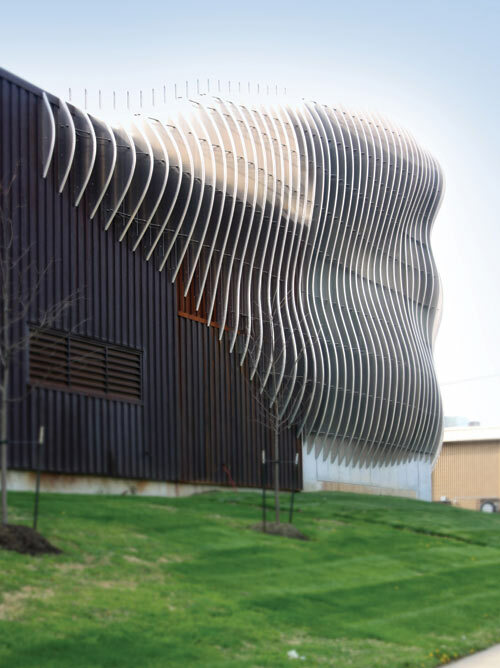 Zahner's "Paseo Beach Wall" creates horizontal movement along the facade. In 2009 Crawford started working with Zahner to develop a master plan for the company’s disjointed buildings. After the city vacated a street that ran between the firm’s two primary industrial and warehouse properties, the focus was to unite the complex in a campus setting. But before the master plan was even finished, the company jumped ahead with the expansion in order to relieve pressure on its backlog. The expansion utilizes the patented Zahner DT extrusion, which is the structural backing of many innovative Zahner facades. 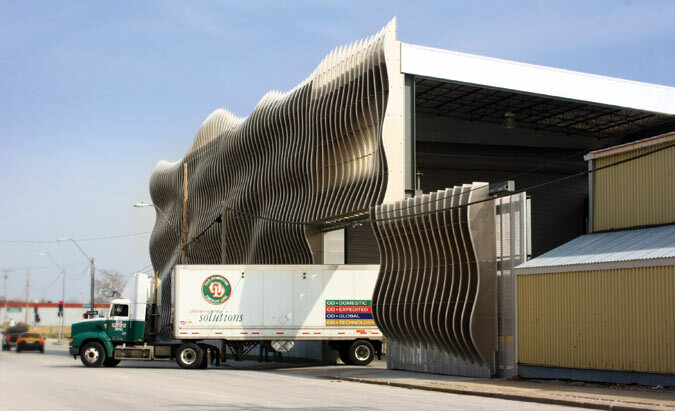 Instead of creating a skin on the building, the front edge of the DT system is rolled to create fins that produce horizontal movement while functioning as mullions. “It’s about surface manipulation to create an illusionary skin,” Jones said. 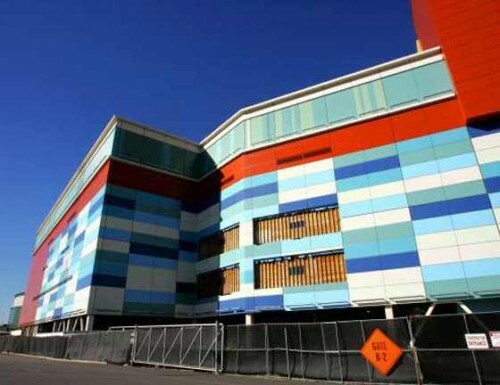 Davis explained, “We developed the envelope so that it would be an interesting yet competitive process.” Dubbed the “Paseo Beach Wall,” the expansion has stopped many passers-by in their tracks. With the expansion now finished, Zahner and Crawford hope to finish the master plan for the campus. The first phase of the Zahner campus master plan is intended to be the continuation of the wall to the west along East 8th Street. The 'low-line' is the centerpiece of the new Lake View sustainable masterplan. 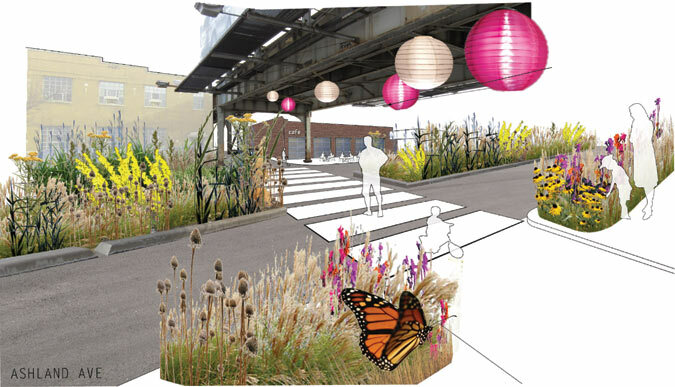 Residents and shoppers in Chicago’s Lake View neighborhood may some day be able to walk under the Brown Line L tracks along a planted path connecting the area’s two commercial corridors. 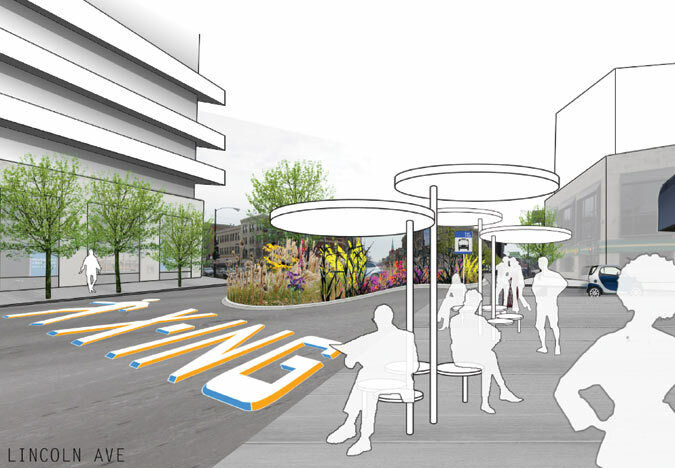 This proposed “Low-line” is one of the highlights of the Lake View master plan by Moss Design and Place Consulting, commissioned by the neighborhood’s chamber of commerce. The Low-line would connect Paulina and Southport and create a new green space for the area. 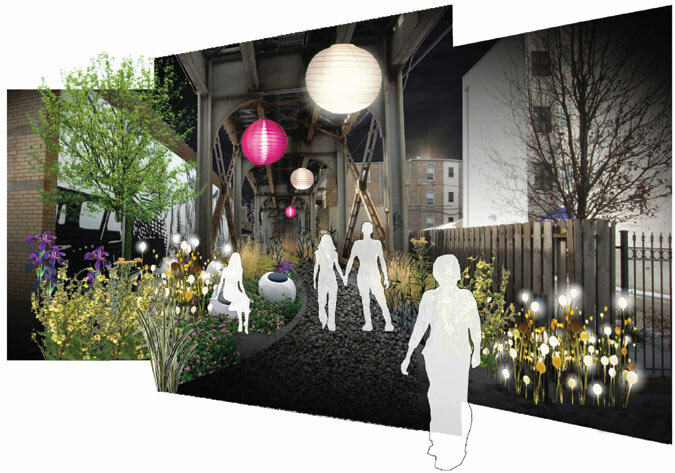 The designers envision a heavily planted and well-lit path that will draw walkers to the area and offer an unusually pleasant vantage point to view the underside of the elevated tracks. Connecting the two commercial corridors will encourage pedestrian activity and benefit area businesses. And just south of the Paulina L stop, the plan calls for a community garden on a vacant lot. Left to right: The plan calls for sustainable agriculture on Vacant lots. ; Additional Street furniture; Living walls on Blank Facades. Sidewalk extensions, bike lanes and racks, a permanent farmers market, a community-based composting center, and a renewable energy facility are also in the plan that calls as well for murals and planted walls to enliven blank facades. The plan also calls for the creation of a separate non-profit entity to solicit grants and additional public funding for sustainability and economic development measures in the area. The plan grew out of a lengthy and varied public process, which included everything from community meetings and business surveys to house-party charrettes and scavenger hunts. 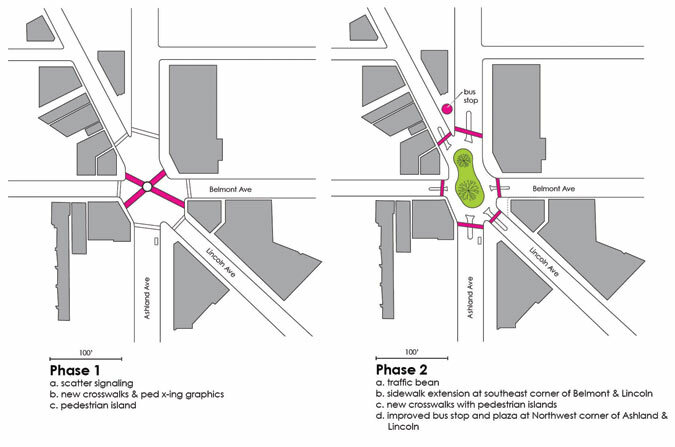 The chamber’s emphasis on public space and sustainability might not at first seem related to the work of a Business Improvement District, but, according to the designers, it is part of a place-making strategy that will benefit residents and businesses and will help make the neighborhood more of a destination and a place to linger. 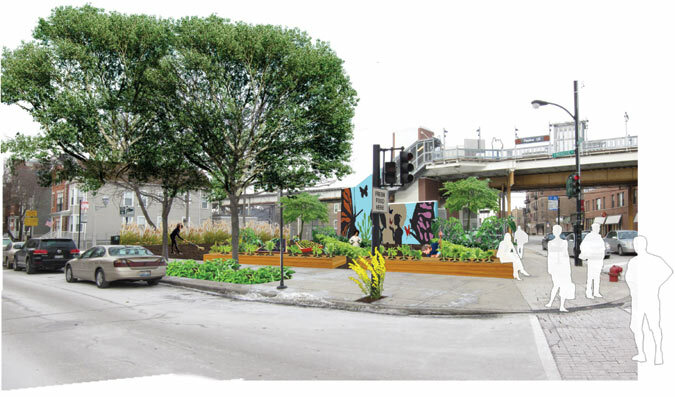 Clockwise from top: A vacant lot repurposed for local food; More pedestrian friendly intersections; new bike lanes and plantings; a new garden passageway under the l tracks. The masterplan was unanimously approved on March 16. Nardella said the firm has since been in touch with the CTA about implementing the Low-line plan. "They seem open to it," Nardella wrote in an email. "It's all happening very fast." Phasing and implementation for strategies for other portions of the plan are also in the works. 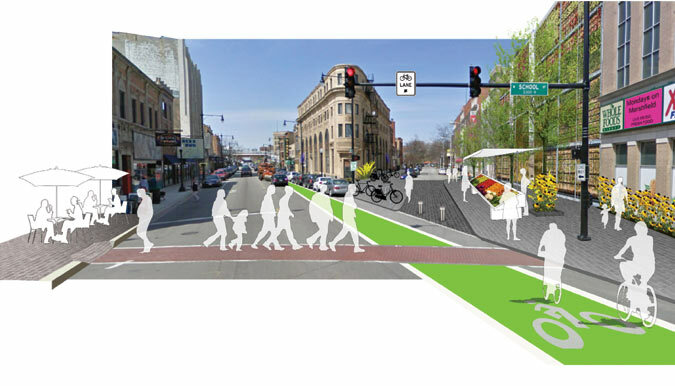 The Lake View chamber is one of the dozens of special service districts throughout the city, so their green masterplan could serve as a model for generating place-specific, sustainable infrastructure citywide. The Burgos office tower in Porto. 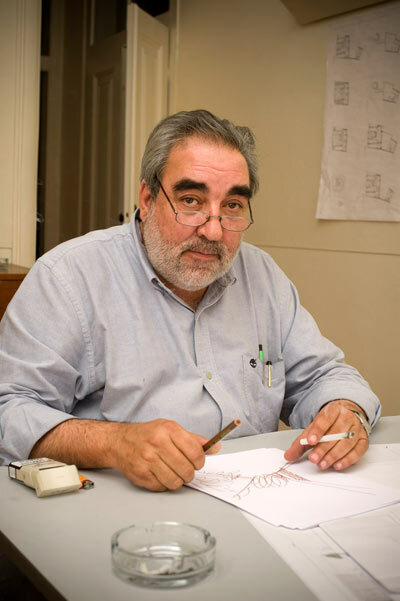 Related Article: Vera Sacchetti's exclusive AN interview with Eduardo Souto de Moura. This same serenity permeates the rigorous work of Souto de Moura, embodied in large, geometric volumes that are grounded and muscular. A fierce regionalist, Souto de Moura was born, raised and educated in Porto, and is today, alongside Álvaro Siza, the most visible face of what is called the “Porto school of architecture.” Souto de Moura began his career working for five years under Siza, but in 1980 started his own practice, winning a series of competitions for public buildings. 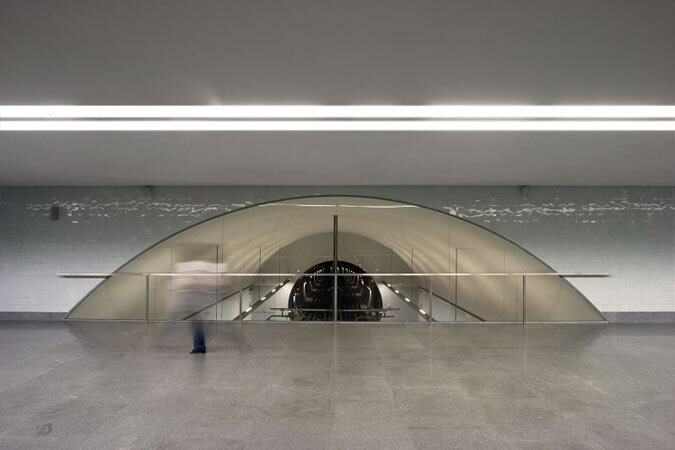 Souto de Moura designed multiple stations for the city of Porto's light rail system. Donald Judd was a definite influence in Souto de Moura’s trajectory. The architect first studied sculpture in college, and attributes his transition to architecture to a meeting with Judd in Zurich. 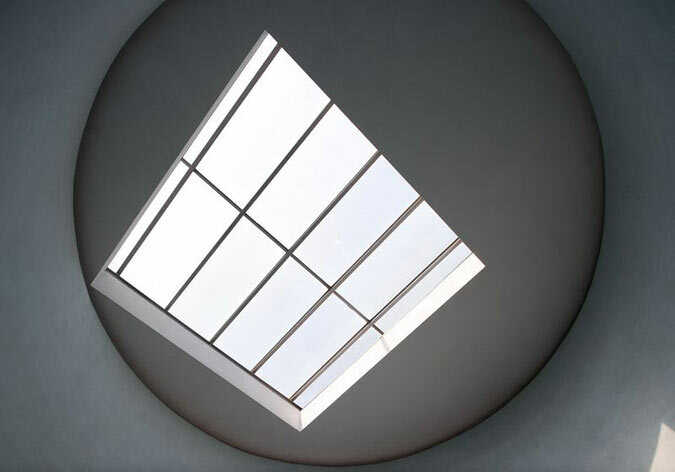 But other influences are felt in Souto de Moura’s work: Portuguese architects Siza and Fernando Távora, as well as Le Corbusier, and especially Mies. 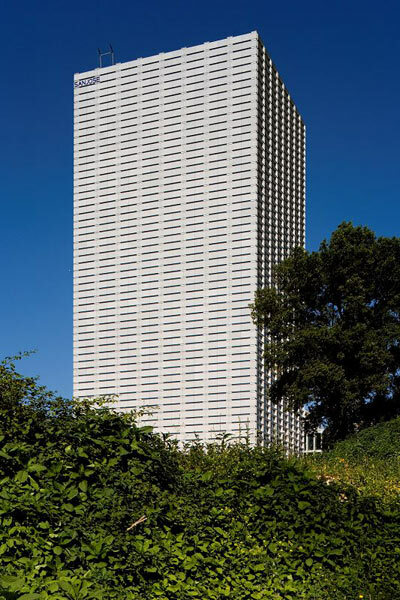 Sometimes described as “a Miesian architect,” Souto de Moura has admitted being “passionate about Mies van der Rohe,” and much of his work evokes the German architect’s. 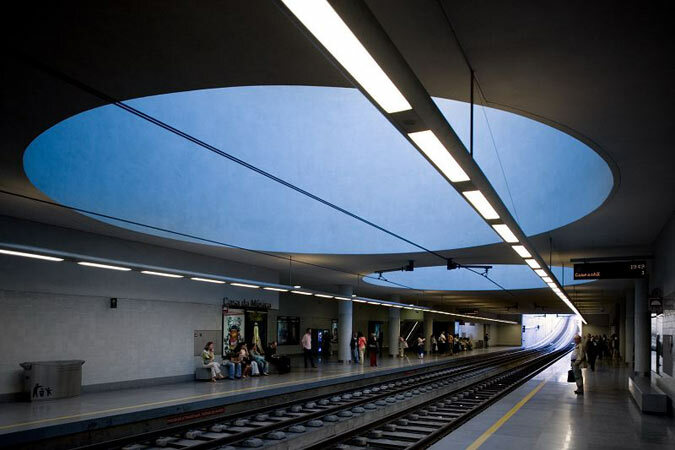 Casa da Musica light rail station, Porto. In Souto de Moura’s Burgos office tower, a project that took almost twenty years to build, the homage to the Seagram building is evident, its Miesian roots more than apparent in two dark, rhythmical volumes. The seventeen-story tower rises alone in the huge lot that was cleared for construction, unusually tall for the city, and the lower volume—a shopping mall—replicates and anchors the tower beside it. 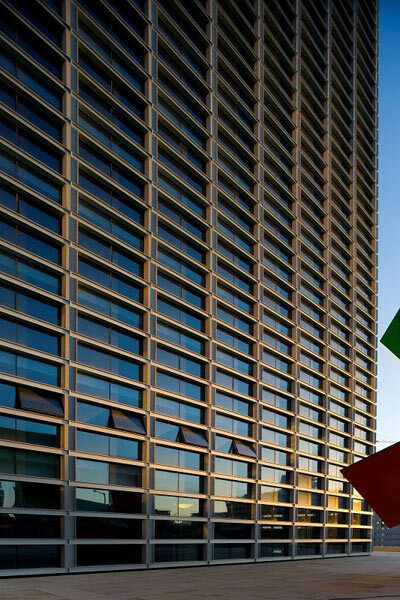 The Burgos office tower is, today, the most visible building within a mile of its site in Porto, and it represents a more recent side of Souto de Moura’s work: public buildings and more ambitious architectural gestures. Many of Souto de Moura’s public projects are smaller interventions. 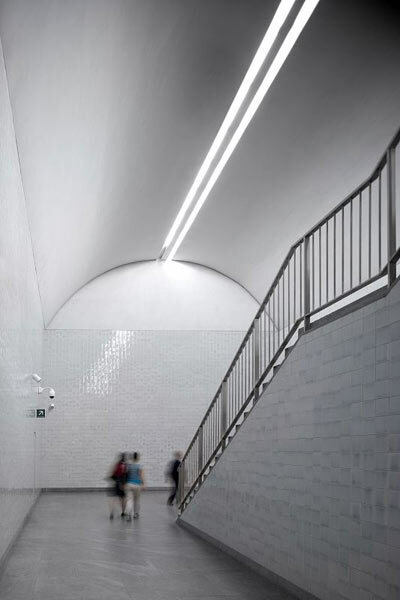 The architect has taken up requalification projects, like the Pousada Santa Maria do Bouro, in Amares, or the Portuguese Center for Photography, in Porto. Both are historical buildings flawlessly renovated, the architect’s attention to detail apparent in every inch. 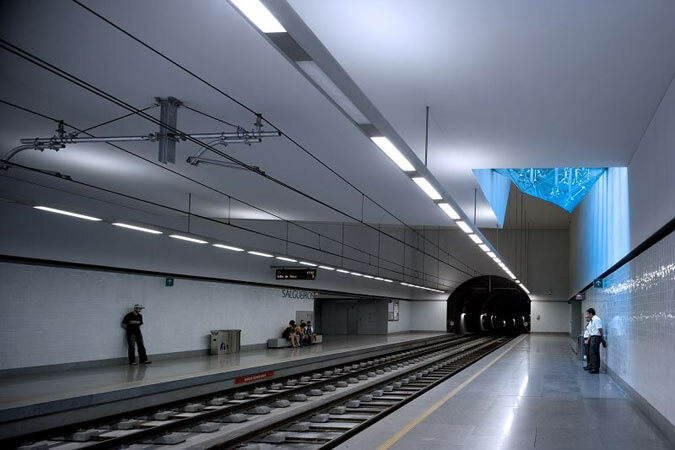 Similarly, Souto de Moura’s project for the Porto light rail system has a light touch, seamlessly embedded in the fabric of the city. 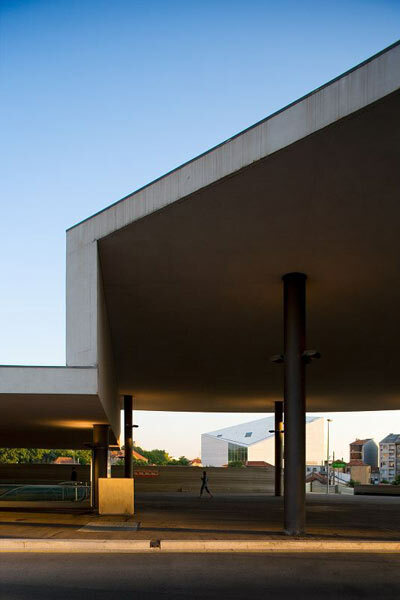 Although it boosted the morale of his economically-depressed country, the Pritzker seems to have left Souto de Moura unfazed. He recently defined himself as part of “Europe’s most marginal country,” and “the less flamboyant… among Portuguese architects…defending architecture that is almost anonymous—well done, but almost anonymous.” The award might offer him opportunities to build abroad, but the architect is pragmatic. “I like to build in Portugal. I feel at home,” he said with a smile. 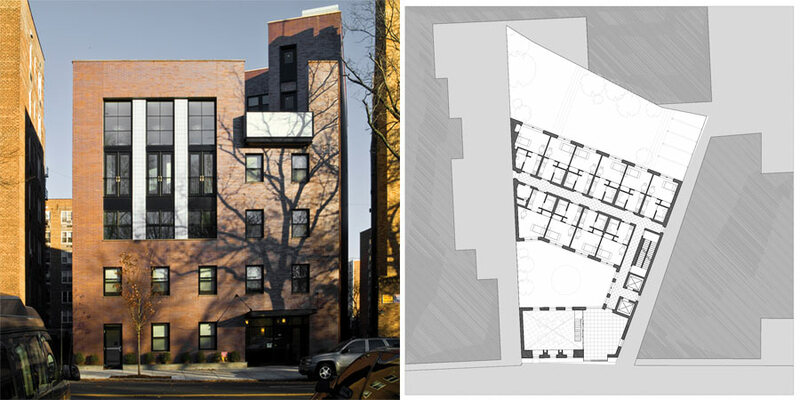 Courtyard view of the 72-unit Saint Marks Avenue Residence with Common Ground. "Well, somebody's got to do it." This is a refrain I have heard over the years from many architects in reference to my firm’s choice to design supportive housing for special needs individuals: the mentally ill, the frail elderly, the chronically homeless, the working poor, among other marginalized groups. The comment is meant to suggest that while perhaps a noble and laudable pursuit, this type of work is gritty, unglamorous and underpaid, and ultimately not worthy of an architect’s design interest. 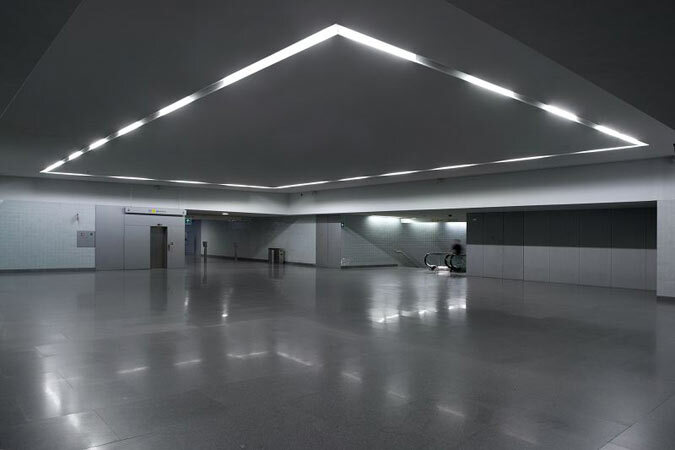 While the work certainly has its frustrations and challenges, especially on the budgetary and bureaucratic side, I would like to suggest that the building type presents design opportunities that are richer and more satisfying than commonly understood. 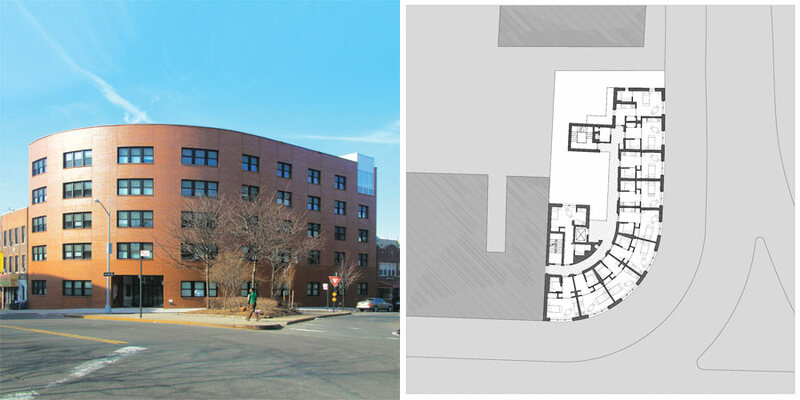 The 69-unit Bronx Park East Residence with Post-graduate Center for Mental Health. Our firm is now completing the last two of six new ‘supportive SROs’ (Single Room Occupancy) built throughout Brooklyn and the Bronx. 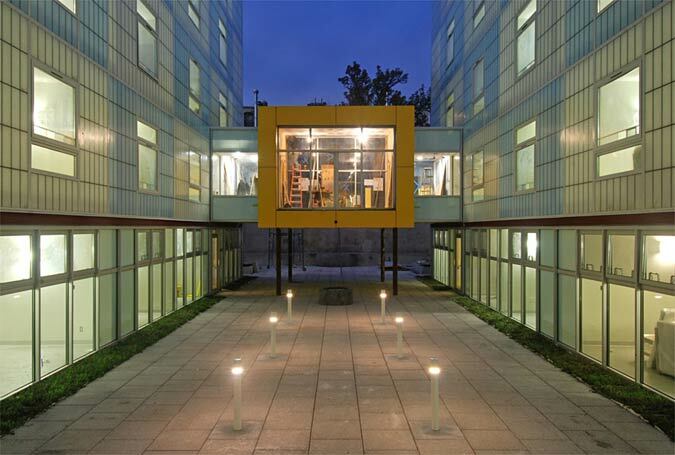 This type of hybrid housing, widely considered to be the single most successful solution to homelessness for individuals, blends studio apartments with congregate spaces like community rooms, exercise areas, library, counseling offices, and laundry. One of the primary challenges, and perhaps the greatest design opportunity, lies in the sites we find. With the current scarcity of inexpensive lots having wide street frontage, the majority of building sites which have been left to not-for-profit developers and their architects have been the irregular “left-over” parcels: narrow on street frontage and deep in proportion; curved, triangular, or trapezoidal in shape; sloping from grade or with rock outcroppings. 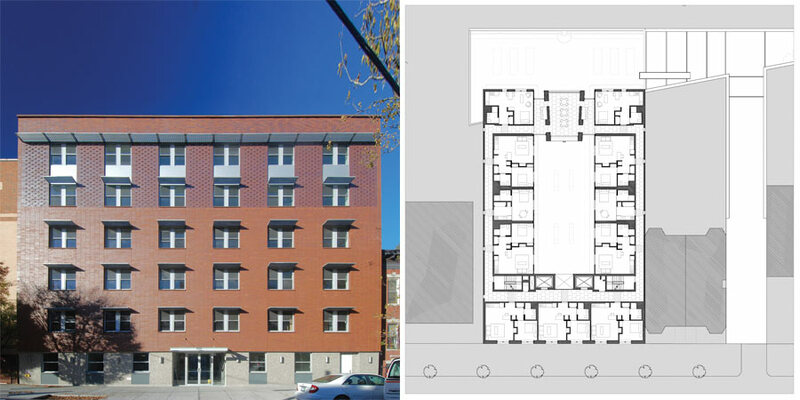 The high density of the SRO housing program requires that these buildings be ‘shoe-horned’ onto their sites, and the result is a great variation of building forms in spite of a similarity of program. We see it as a ‘case study’ in urban-remnant infill. The 50-unit Marcy Residence with Services for the Underserved. The solving of the program puzzle within as-of-right zoning and a budget of less than $300 per square foot can be used as an opportunity to innovate and invent. And this sometimes leads to unexpected results. 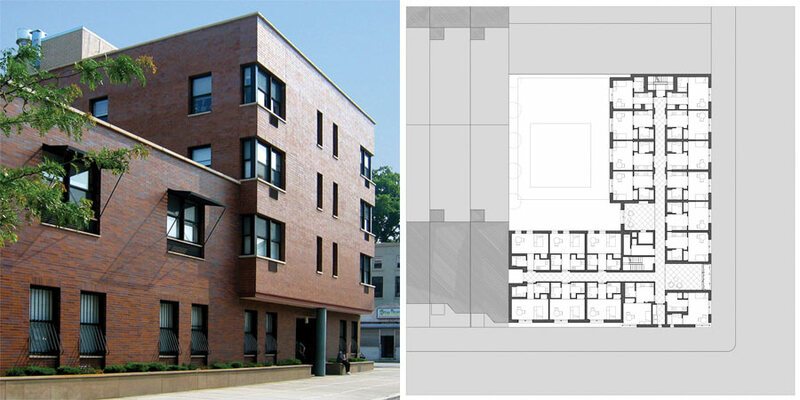 As an example, our 72-unit HUD-funded Domenech Residence designed for Common Ground in Brownsville (Gold LEED pending) is a U-shaped building wedged into an 80-foot wide and 155-foot deep lot. The narrow and deep dimensions of the lot precluded a typical double-loaded unit organization: instead single-loaded corridors along both side lot-lines allow abundant natural light to be brought into the public corridors at every floor. By running the bearing walls parallel to the street as opposed to along the courtyard length, the 30-foot wide court could then be skinned by seven-story checkerboard surfaces of Kalwall. 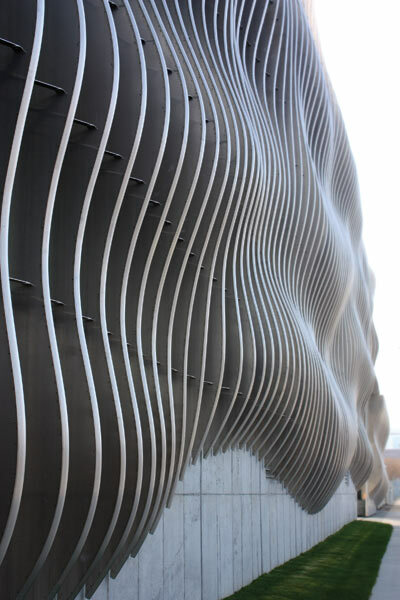 This 2-3/4-inch thick material with high thermal value solves the simultaneous design problems of envelope efficiency, usable space and light in the units, and large-scale patterning of the courtyard facades. The 72-unit Domenech Residence with Common Ground. Other sites presented different challenges and opportunities. A massing play was presented on the trapezoidal site across from Bronx Park. 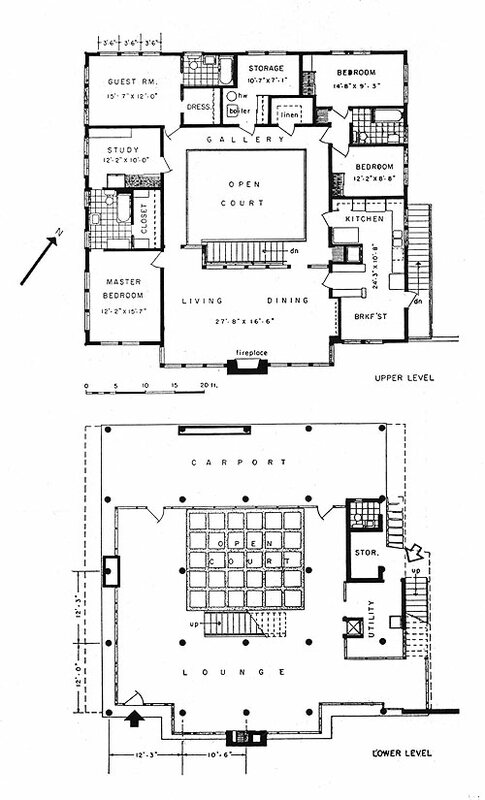 Here, the narrow street frontage facing west towards the Park was used as a means to privilege the common rooms as a program-stacked “entry pavilion.” A figured court mediates the splayed site geometry while differentiating the public spaces from the taller double-loaded unit mass behind. 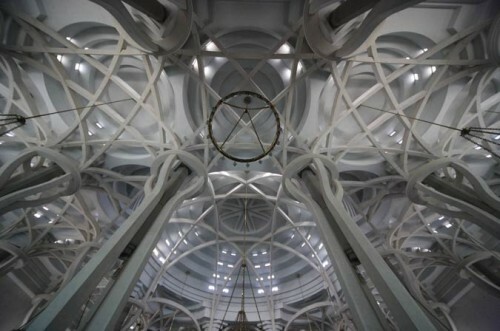 While each site condition came with its own puzzles and pleasures, in all six cases plans and sections were constantly refined for maximum efficiencies and spatial effect: variegated ceiling heights compressed and then raised within the unit entry sequence, double-loaded configurations pierced at strategic moments to allow natural light into public corridors and waiting areas, and larger scale “collective” figures carved into punched fields of regular openings. Environmentally progressive systems and elements were employed in each building iteration despite their low budget, including high performance exterior envelopes with central heating and cooling fan coils, green roofs, gearless elevator, energy efficient lighting and appliances, re-cycled and recyclable materials. The 43-unit Teller Residence with Post-graduate Center for Mental Health. Beyond the design, problem-solving and technical strategies remain the often-ignored social and political implications of this type of public housing. Contemporary architects sometime overlook the fact that the Modern Movement, while often associated with a particular style and use of materials, was also one with a strong social agenda, especially in the area of multi-family housing. Until the 70’s, many architectural practices included housing as a fundamental part of their repertory, and it is only in the last few decades that this type of work has slowly disappeared from the mix, replaced in part by luxury housing marketed as brand-name architecture on the one hand and on the other bare-bones “match-box” low-budget housing often produced as back-office bread-and-butter work. It does not have to be this way. Now, in fact, might be an excellent time for architects to reconsider how their talents could be stretched and exercised by expanding their range, embrace the Modern Movement’s social imperative to reverse the inequalities we see in our world, roll up their sleeves and get gritty.